← Can Zoloft Protect Us Against Ebola Virus Infection? This post contains some fun facts about the cells found in our blood. It’s presented in a slightly disorganized way—part table and part text. All the information comes from Wikipedia or MedLine. I hope you will find it interesting and informative. This post illustrates a couple of other points I would like to make. All of this information is very basic and very easy to find—if you (1) know what to look for, (2) know when you’ve found the right (accurate) information, (3) know what the information means, and (4) understand how you can use it. 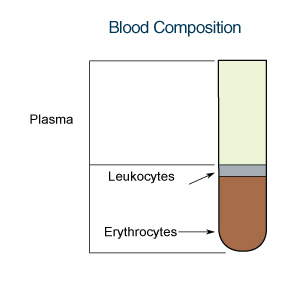 Composition of Whole Blood centrifuged to show volume of plasma, WBCs, and RBCs (Hematocrit). Wiki Commons. Total blood volume in an adult human: 5 Liters = 5,000 mL = 5.25 quarts = 10.5 pints. 1 Unit of blood is 500 mL = 0.5 qt, = 1 pint, about 10% of your total blood volume. About 40-45% of your total blood volume is RBCs. That number is your Hematocrit. There are 5 major types of WBCs. They are named for either their morphology (physical appearance under the microscope), or where they were first found. The ratio of these cells to each other is called the Differential Count, or “Diff”. 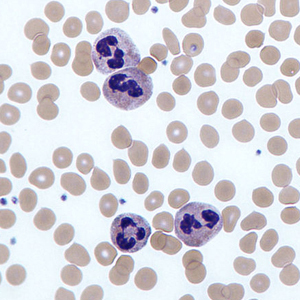 Micrograph of Neutrophils. Wiki Commons. 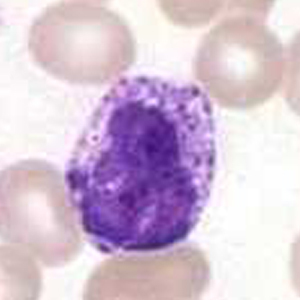 Micrograph of an eosinophil. Wiki Commons. 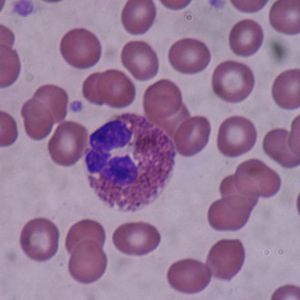 Micrograph of a basophil. Wiki Commons. Interestingly, WBCs in the blood are only about 0.1% of all the WBCs in the body. The body has approximately 1×1012 total WBCs. The remainder are found in the lymphatic system, including the lymph nodes, and dispersed throughout our tissues, especially in the gut, liver, spleen, and skin. 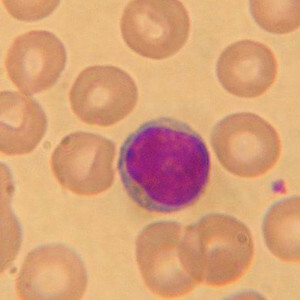 Micrograph of a lymphocyte. Wiki Commons. Scanning electron micrograph of a lymphocyte. Wiki Commons. 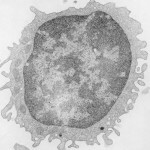 Transmission electron micrograph of a lymphocyte. Photo: UCSF School of Medicine. Each WBC has a specific job to do. Neutrophils, the most abundant WBCs, are our first line of defense against bacteria and other foreign invaders, especially those that enter the body through cuts, scrapes, and other injuries. Monocytes are phagocytic cells that eat dead cells, debris, bacteria, and foreign substances. Together with another type of cell called Dendritic Cells, they alert helper T cells (below) that they need to jump into action. Eosinophils are a primary attacker of parasites and worms. Basophils release histamine when they are activated. When they are over-stimulated, like when you have an allergic reaction, they are the culprits. It’s a good thing we don’t have more of them, huh? 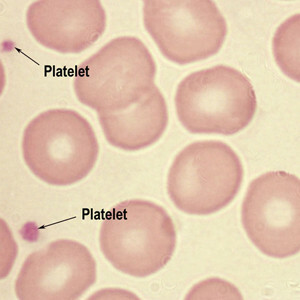 Platelets are actually small cell fragments. They are activated in response to tissue injury. When they are activated they become sticky and become trapped in webs of fibrin to form what we call clots. Platelets are also activated by fatty plaques that form in your arteries which leads to atherosclerosis. Not good. Lymphocytes. All lymphocytes look relatively the same under the microscope, but with special techniques and technology such as flow cytometry we now know that there are several different kinds of lymphocytes with highly specialized functions. There are CD4 T lymphocytes (CD4 T cells) also called T helper cells, and CD8 T cells called cytotoxic T cells or CTLs. 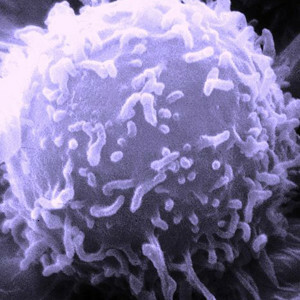 CD8 T cells attack and kill other cells like cancer cells and virus-infected cells. T helper cells are necessary to initiate and support the function of other lymphocytes. As you may know, HIV, the AIDS virus, specifically infects and kills CD4 T cells, thus taking down your immune system and leaving you essentially defenseless. Those suffering from AIDS often die from a variety of unusual infections and/or cancer. B lymphocytes or B cells, when activated by antigens and helper T cells, become plasma cells, which are the cells that make antibodies. If you have no B cells, you will have no antibodies. Natural Killer cells. There is another type of lymphocyte that is close to being a T cell, but is not quite the same. They are called Natural Killer cells, or NK cells. NK cells circulate through the body looking for bad cells to kill. They are one of our primary defense mechanisms against cancer. There are even more sub-types of T cells, B cells, and monocytes that I will not describe here. Just know that the immune system is highly specialized, and highly complex. 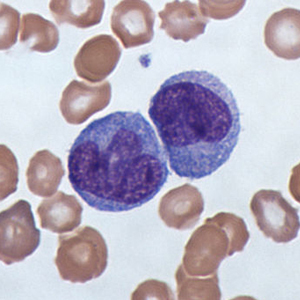 Lymphocyte (sang humain, normal). Coloration de May-Gründwald Giemsa, Gc = 1000. Février 2006.